While you wouldn't expect to find a link between classic rock and autism, that unusual combination has indeed used to support people dealing with ASD. VH1, a cable network featuring classic rock music videos and former celebrities, began the campaign after their "classic" network launched in May of 2000. What's the Benefit of Classic Rock and Autism? There are two major ways that the classic rock stars can benefit people with autism. One is through raising money for autism support, legislative lobbying, and research, and the other through increasing autism awareness throughout the world. VH1 decided to harness the star power of classic rock and autism groups flocked to become part of the movement. According to the official VH1 Classic's "Rock Autism" page, the campaign "aims to galvanize a community of artists and fans" through fund-raising and education. Some have criticized the all-inclusive nature of the links, which include sites which support the contentious belief that vaccinations and autism are linked. However, the page also provides many independent pages of questions and answers about autism that neatly sidestep the issue in favor of greater awareness. For example, on the FAQ, in answer to "What Causes Autism?" the site explains "Because no two people with autism are alike, autism is likely to be the result of many causes." It then cites again the need for ongoing research into both the causes and treatments for autism. The page also links to articles about diagnosing autism and treatment. It also links to video programs about autism on both MTV and Nickolodeon, two other cable channels that have devoted resources to the cause. On the sidebar there is also a link to the Facebook group designed to support the campaign, which at the writing of this article has over 4300 members. as well as comedians like Rainn Wilson (from the TV series The Office), Jack Black as "Tenacious D", and Adam Sandler. The latter parodied the Who's "Magic Bus" as part of introducing the band itself, with Roger Daltrey and Pete Townshend performing with their band. The event wasn't only focused on autism, with the Teenage Cancer Trust and the Double-O Project also receiving some of the monies raised by the event. However, it was a great example of star power being used to help those dealing with autism in their lives. 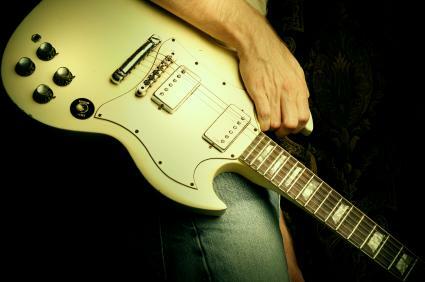 While it is only an anecdotal report, there has also apparently been some children who have improved both their social and fine-motor skills through playing the popular classic rock based video games Guitar Hero and Rock Band. Though the report is not backed up scientifically, the first hand account is a good example of the many ways people dealing with autism form their own communities for the purpose of sharing and supporting each other. Other events have featured classic rockers, such as Twisted Sister's Dee Snyder in the Autism Speaks Celebrity Softball Game, But VH1's campaign is an ongoing resource in the struggle to overcome the challenges faced by those affected by ASD.